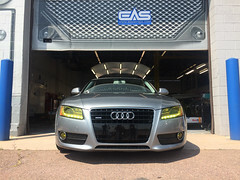 Improve your vehicle’s looks and enjoy greater visibility with an EAS window treatment. Driving with the sun in your eyes isn’t just an annoyance – it can be deadly. 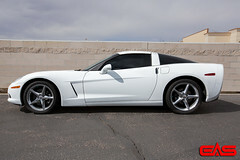 Window tint greatly decreases the light that enters your vehicle, reducing glares overall. You will be able to drive more safely and than before. This is especially helpful on bright sunny mornings with snow and ice on the ground when conditions require the most attention. Another safety feature is that the window tint coating shatter-proofs your windows, so in case of an accident, glass shards are less likely to be thrown about the cabin. Window tint makes it difficult to see inside of your vehicle. People looking for a quick smash-and-grab won’t know if you have valuables readily available, and will move on to a sure thing. 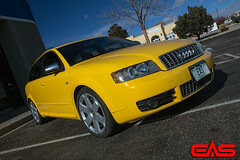 Besides hiding your valuables, you also get personal privacy and can keep a low profile while driving. The heat and UV rays from direct sunlight can do permanent damage to your interior in just a few years. This can warp, fade or crack your leather, vinyl or plastic interior trim. Even fabric interior is at risk because the sun weakens the fibers, making it more prone to rips and tears over time. By tinting your windows, you reduce up to 90% of the harmful UV rays that enter your vehicle, keeping your interior looking new for much longer. 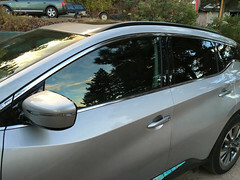 Window tint prevents much of the light entering your vehicle, helping to keep the interior cool during the summer months when it can be unbearable to get into your car after sitting in the sun. 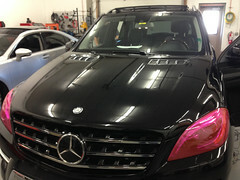 Window tint not only reduces the UV rays that beat on your interior, but also on your skin. By installing window tint, you prevent damage to your skin that can lead to accelerated aging. 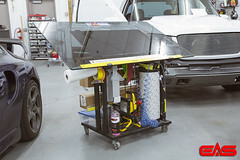 Pricing for window tint varies by vehicle and type of window tint. 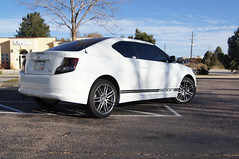 Select the window tint type below for a description and pricing options. Looking for the ultimate in window treatment? 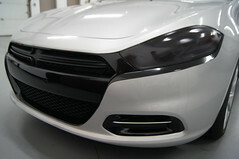 Contact Us about our PhotoSync® line for the absolute best in UV and Infrared protection. Covers top 4 inches of front windshield. Manu SUVs and vans come with factory tint on the rear windows. 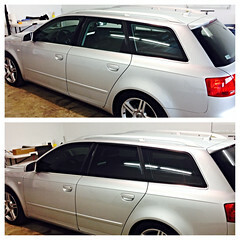 We can tint the front windows, matching the factory tint from the rear. 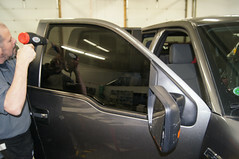 If you have existing tint that has been damaged needs to be replaced. 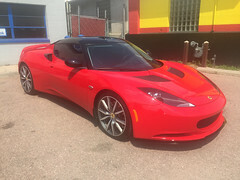 Colorado law includes regulations on window tint. Tint may not block more that 73% of available light. 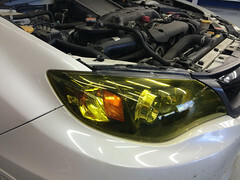 Mirrored, metallic and colored tints are prohibited.